The 19-year-old Philippines #1 rated Grandmaster Wesley So who took time out from Webster University at Saint Louis, Missouri, USA where he is currently a college freshman and whose “one mission” according to his coach GM Susan Polgar in taking part in the Zone 3.3 Championships 2013 in Tagaytay City, Philippines on January 22-29, 2013 is “to make the 2013 World Cup”, finished second place and nailed one of the two(2) qualification slots for FIDE Chess World Cup 2013 allotted in the Asian Zonal championship. GM Nguyen Ngoc Truong Son of Vietnam secured the other World Cup 2013 slot by winning the final round against GM John Paul Gomez scoring 7.5/9 (6Wins-3Draws) and also finishing first place in this Asian Zonal event. The World Cup 2013 is a 128-player single-elimination tournament scheduled on 10 August to 5 September 2013 in Tromso, Norway. The winner and the runner up of the World Cup 2013 will qualify to the Candidates stage of the World Championship cycle 2012-2014. “The Chairman” as fondly called by Barangay Wesley (BW), Wesley So’s worldwide fans and supporters, finished the 9-round Swiss System “Standard” chess tournament scoring 7.0/9 (5wins-4draws) points. He registered a Rating Performance (Rp) of 2728 and a +5.0 gain in rating points. Adding his +2.1 rating points gain at 2012 PanAm Intercollegiate Chess Championship, NJ (Dec 27 – 30, 2012) he now has a FIDE Live Rating of 2689.1 just 10.9 points short of the elusive Hyper-GM status at 2700. 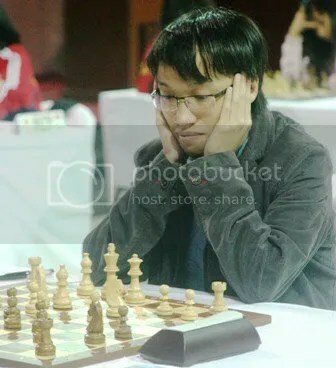 His highest ever live rating of 2693.5 was registered in R7 (Zone 3.3 Championship) on January 27, 2013 when he defeated .IM Nguyen Duc Hoa of Vietnam. 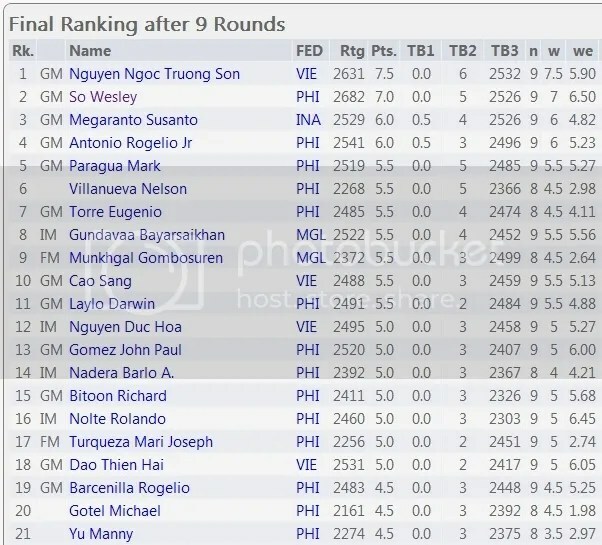 With this feat, GM Wesley So became the Philippines second qualifier for the World Cup 2013. 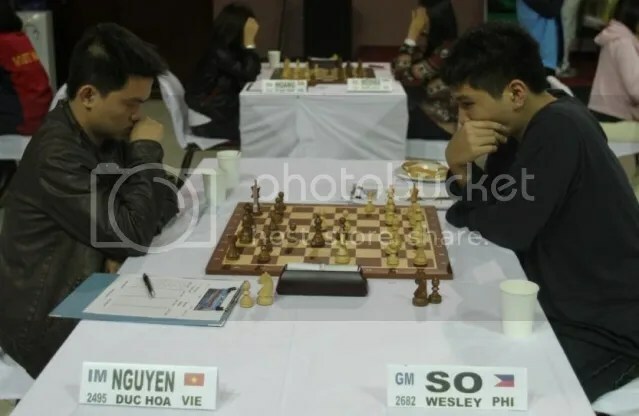 The first Philippine qualifier was GM Oliver Barbosa who took his slot in the Asian Continental Chess (ACC) Championship 2012 in Ho Chi Minh, Vietnam last 5-13 May 2012. 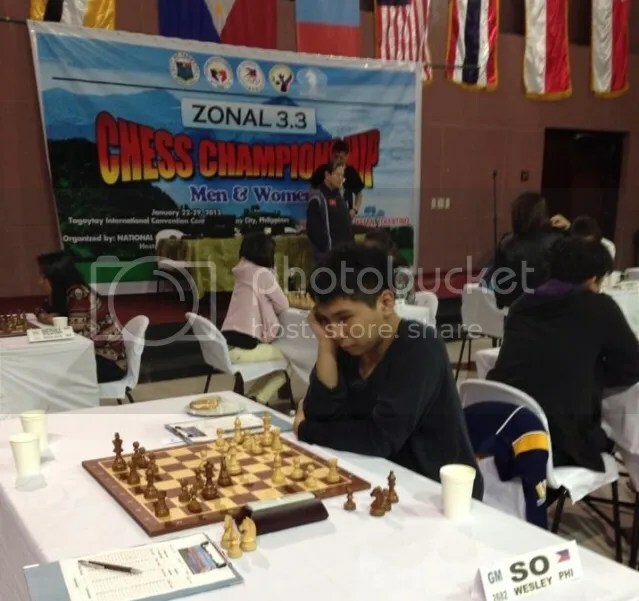 Coach GM Susan Polgar in her kibitz at Barangay Wesley Forum at chessgames.com announced that GM Wesley So next tournament will be at Reykjavik, Iceland scheduled 19-27 February 2013.